Dr. Jason Vodicka was appointed the director of the Harrisburg Choral Society in 2014. Dr. Vodicka brings a wide range of experiences to the Society from a broad variety of sources. Dr. Vodicka is a graduate of the Westminster Choir College, Rider University in Princeton, NJ, where he earned a Bachelor of Music in Music Education in 2002 and a Master of Music Education with Distinction in 2009. He has most recently earned his Doctor of Musical Arts in Conducting with a minor in musicology from the University of Georgia in Athens, GA, where he was a Presidential Graduate Fellow. Dr. Vodicka has wide experience as a performer, accompanist, educator, and conductor. He was Vocal Music instructor for Pennsbury High School in Fairless Hills, PA, where he directed his choruses in local performances and in appearances in New York City and Europe. He was also associate director and accompanist for the Pennsbury Community Chorus. He has directed the Westminster Choir College Women's Chorus and the choir of Ewing Presbyterian Church in Ewing, NJ. While at the University of Georgia, Dr. Vodicka directed the UGA Opera Ensemble and the Women's Glee Club, and was an assistant and guest conductor of the UGA University Chorus and University Orchestra. He has also been an organist for several Westminster Choir College ensembles, Covenant Presbyterian Church in Trenton, NJ, Yardley UCC Church in Yardley, PA, and First Presbyterian Church in Morrisville, PA. Dr. Vodicka joined the faculty at Susquehanna University in Selinsgrove, PA in 2013 where he was Coordinator of Music Education and directed the University Chorale. 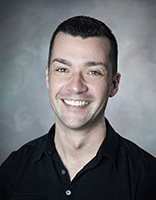 In 2018 Dr.Vodicka was appointed Assistant Professor of Music Education at Westminster Choir College, where he teaches undergraduate courses in music education, mentors student teachers, and teaches summer courses in conducting and choral pedagogy for in-service teachers and professional musicians. He is a member of the American Choral Directors Association of PA and the PA Music Educators Association.